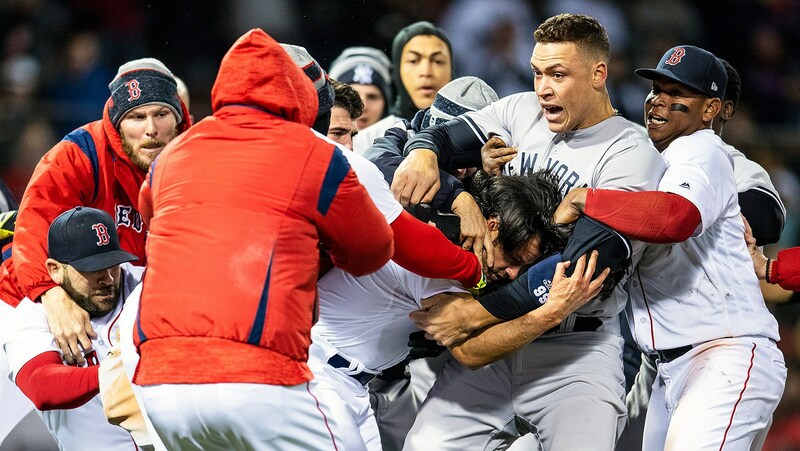 After a brief hiatus, we’re back with horrible news: the New York Yankees are the best team in Major League Baseball. That’s right, the Evil Empire™ has rattled off an impressive stretch of wins en route to recapturing first place in the AL East. New York’s deadly combination of a high-powered offense with a top ten pitching staff has allowed them to climb out of an early hole. Boston, although, currently only sits half of a game behind the Yankees in the standings. 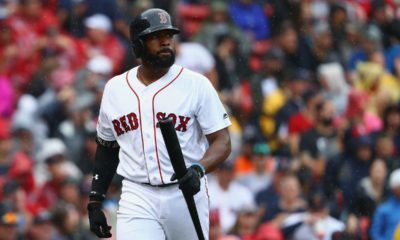 New York and Boston have also split the six games that they have played each other already, an early indication of what will be a heavily-contested race for first place in the AL East. Divisional races across the board are shaping up to be tight as the season progresses. At this point in time, there are 19 teams with a record that is at or above the 0.500 mark, with on 10 playoff spots up for grabs. 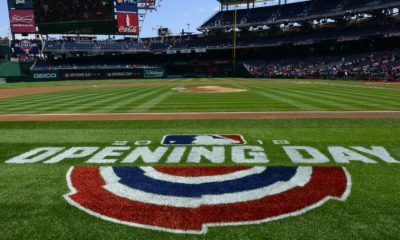 Surely baseball fans are in for an exhilarating summer of baseball in 2018. With that, here are this week’s MLB Power Rankings presented by FlurrySports. It seems as if Pittsburgh is dead set on putting to bed any talk about their fast start being a fluke. They have managed, along with the Cardinals and Cubs, to stay within a game of the first place Brewers. The Pirates have done so with fairly average pitching, which has benefited from baseball’s fifth-best scoring offense. What’s more, they have even managed to post a winning record within the NL Central Division so far this season (10-3). The Cardinals are within a game of the first place Brewers in the NL Central. St. Louis’s pitching staff has been lights out, posting a team ERA of only 3.35 in addition to being among the teams giving up the fewest homeruns. To go along with already great pitching numbers, 23 year-old pitching prospect Alex Reyes is set to have a rehab assignment soon. Reyes missed all of the 2017 season after undergoing Tommy John surgery. Widely considered one of baseball’s top pitching prospects, he would be a boon to the Cardinals’ pitching staff when healthy. Hard to argue against the success of the Diamondbacks this season. They have been in first place in the NL West from the get-go and have taken full advantage of the Dodgers’ World Series hangover. The most steady presence in their lineup has been 30 year-old outfielder A.J. Pollock (0.293/0.349/0.969 11 HR 33 RBI). In addition to his bat, the 2015 Gold Glove Award-winner brings solid defense to the D-backs’ outfield. Unfortunately, a thumb injury will keep Pollock sidelined for the foreseeable future. The Phillies are trusting the process and are hanging tough along with the Atlanta Braves in the NL East. 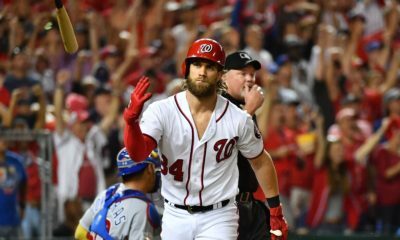 It’s only a matter of time before the sleeping giant that is the Washington Nationals starts to get hot and make things tough in the division. That’s not to say that Philly will be going anywhere anytime soon: the Phillies have the fifth best team ERA in the majors (3.44) and have a top ten scoring offense. They’re playing good baseball right now. The Brewers have had to endure a fair amount of injuries so far this season. Despite this, they currently sit in first place in the tightly-contested NL Central. The return of Corey Knebel will provide much-needed relief for a bullpen that has often been overworked. Left-handed reliever Josh Hader did more than his fair share while Knebel was out (1.44 ERA, 0.086 opp AVG, 50 K, 6 saves). A three game series this weekend in Minneapolis versus the Twins will undoubtedly be a must-watch. It is an ideal situation for any team when they have a Cy Young Award contender in their starting rotation. The Houston Astros easily have two. Gerrit Cole and Justin Verlander could both end up taking home the AL Cy Young Award this fall. Both have Earned Run Averages below 2.00 and have accumulated more than 75 strikeouts already this season. Add that pitching staff to a lineup that’s hitting below what it’s capable of, and Houston could be a scary team down the stretch. The Angels have the luxury of having the best baseball player in the world on their team. Twenty-six year-old Mike Trout seems to get better with each passing season. Having already reached over 200 homeruns hit in his career and as he quickly approaches 600 runs batted in, Trout will be bound for Cooperstown by the time his career is over. For now, though, his sights are set on bringing the Angels their second World Series title. It’s hard to not like what the Braves have done so far this season. No one expected them to be in first place in the NL East midway through May. Fewer probably anticipated them being ten games above the 0.500 mark at this point in the season, as well. Veteran outfielder Nick Markakis is quietly having a great 2018 season, and his veteran presence has been invaluable for Atlanta’s young rising stars. The Boston Red Sox are also nothing to sneeze at. They are currently within shouting distance of the Yankees, only half of a game back from the Bronx Bombers in the AL East. If there’s any player I would pick so far to be the American League MVP, it would be Mookie Betts. Betts has played out of his mind this season (0.362/0.439/0.766 13 HR 27 RBI) and may very well have that MVP award locked up by the All-Star break. Well, they’ve managed to take the league by storm, yet again. It was only a matter of time. The Yankees have won 19 of their last 22 games. New York has accomplished this feat via a combination of an explosive offense (5.78 runs scored per game – 1st in MLB) and playing behind one of the best pitching staffs in the league (3.66 team ERA – 3rd in AL). Only the Cleveland Indians have hit more homeruns as a team so far this season.